Richard Branson’s Virgin has launched the inaugural issue of its magazine designed to be read on Apple’s iPad. The magazine, dubbed simply Project, is currently on sale in the Apple App Store for $2.99 for issue number one. Project will focus on entertainment, design, technology, and entrepreneurs. The magazine plans to have a new issue launched monthly, but with new content constantly being added throughout each month. Engadget has reported that there may also be an Android version of Project in the works. 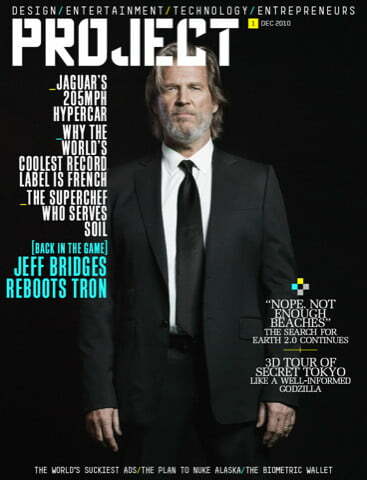 Project is being touted by Virgin as the first purely digital magazine. That claim sounds a little bit of a reach in a world ripe with digital publications that effectively fill the same role as traditional print magazines. It will be interesting to see if Branson’s effort actually succeeds in maintaining a readership willing to pay monthly fees to read what he’s offering – stuff that likely will be covered elsewhere for free. It should also be noted that Project also has it’s own blog as well as video teaser. Rupert Murdoch, old media stalwart and CEO of News Corp., recently announced intentions to begin publishing an iPad-only paper called The Daily with a weekly subscription rate of $0.99. While the two publications aren’t likely to compete for audiences, there will probably be a sense of rivalry as the two attempt to establish the viability of old media business models — pay subscriptions — in the digital arena. Murdoch’s effort is expected to launch as early as the beginning of next year.